Recital: "Andrew Simpson and Friends," including Andrew's art song cycle, The Birds of Love and Prey and a concert production of his opera The Outcasts of Poker Flat. DACOR-Bacon House, Washington, DC, 2018. Recital: "The Music of Eric Kitchen," including world premiere of Roses. Music at Penn Alps Concert Series, Grantsville, MD, 2018. Recital: "Birdsong," including new music of Andrew E. Simpson, Gabriel Thibaudeau, Eric Kitchen, as well as pieces of C.Saint-Saens, Lili Boulanger, and D. Argento. DACOR-Bacon House, Washington, DC, 2016. Recital: Music of Lili Boulanger and Edith Piaf. French Ambassador's residence, Washington, DC, 2016. Recital: Music by Neil Gladd. Washington Ethical Society, DC, 2015. Recital: Premiere of The Avian Project, new songs for soprano. The Lyceum, Alexandria, VA, 2014. Trio recital: "Songfully Yours, letter arias, songs, and duets." Jordan Kitts Recital Hall, Fairfax, VA, 2013. Silent movie with live accompaniment: "The Hunchback of Notre Dame" (1923), Score arranged for Soprano, Violin, and Theater Organ, by Gabriel Thibaudeau. 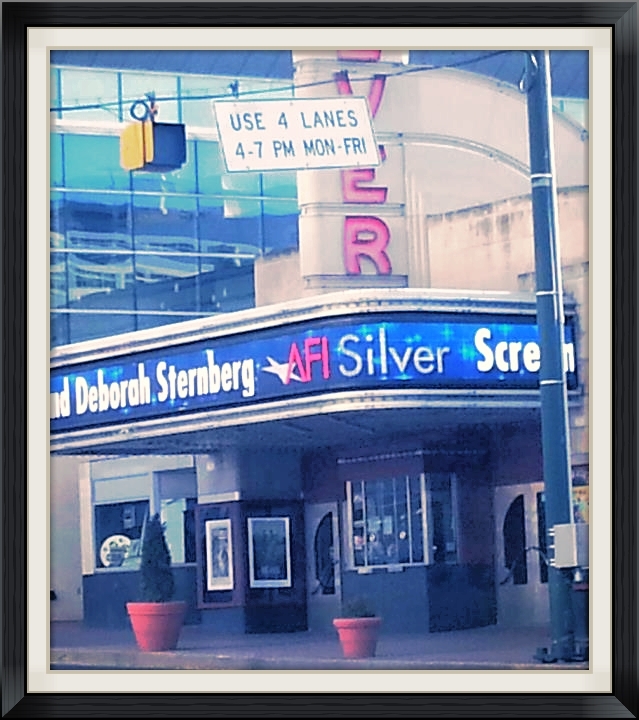 American Film Institute Silver Theatre, MD, 2013. Friday Morning Music Club Recital: "Dowland and Rodrigo." Strathmore Mansion, MD, 2012. Repeat: Dumbarton House, DC; Steinway Gallery, MD. Duet recital: "Si Dolce e'l Tormento," with Terrence Johns and chamber orchestra. Christ Episcopal Church, Rockville, MD, 2012. Friday Morning Music Club Recital: "Dowland and Friends." Dumbarton House, Washington, DC, 2011. 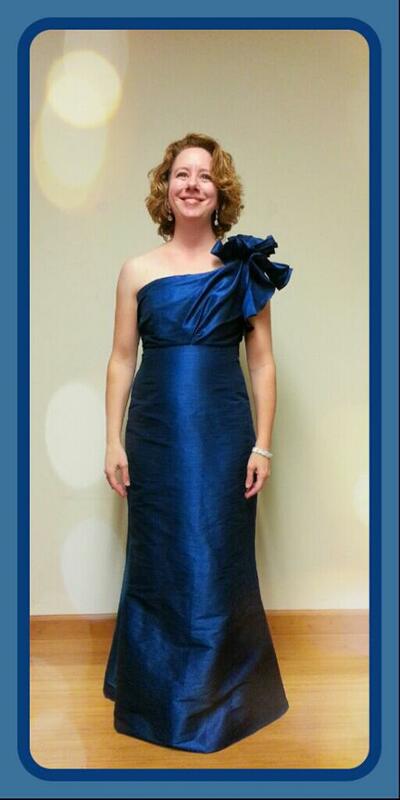 WETA "Front Row Washington," featured soloist on live recordings of Cantate Chamber Singers presentation of Maurice Saylor's Two Slumber Songs and Benjamin Britten's A Wedding Anthem, 2010. The Outcasts of Poker Flat, by Andrew E. Simpson, Recorded excerpts. Piney, 2010. Full Recital: "Many Aspects of Love." Church of the Epiphany, Washington, DC, 2007. Duet Recital: Set of Bach, Dumbarton House. Washington, DC, 2007. Duet Recital: "Songs of Love and Longing." Neelsville Presbyterian Church, MD, 2005. A Britten Holiday (Raven records label, rel. 2013) Cantate Chamber Singers. Soloist. St. Catherine of Siena: Concert Recording (private label, rel. 2010) St. Catherine of Siena Choir. Soloist in Mozart's Vesperae Solennes de Confessore, K.399. Sun Stone II (private label, rel. 2007) Cantate Chamber Singers. Soloist in Britten's Hymn to St. Cecilia. Mass for a Sacred Space by Stephan Paulus (Arsis Audio, rel. 2005) Cathedral Choral Society. Soloist in Edwin Fissinger's Lux Aeterna. How the Grunch Stole Hanukkah, a production of the Unexpected Stage Company. River Road Unitarian Universalist Building, Maryland, 2018. Soprano. Lera Auerbach: ARCTICA (world premiere,) with The Washington Chorus and the National Symphony Orchestra, 2019. Vaughan Williams: In Windsor Forest, Washington Master Chorale, 2019. Saint-Saens: Christmas Oratorio, with the NoVA Lights Chorale and ChamberOrchestra, 2018. Distant Worlds: Final Fantasy, Otakon Convention, 2018. Madeleine Dring: Four Night Songs, Cantate Chamber Singers, 2018. John Rutter: Magnificat, with the UUCF (Unitarian Universalist Congregation of Fairfax) Chorale and Chamber Orchestra, 2017. Luna Pearl Woolf: Après le Déluge, with The Washington Chorus, 2016. Benjamin Britten: The Company of Heaven, with Cantate Chamber Singers, 2015. Lori Laitman: Echo, Washington Master Chorale, 2015. Handel: Israel in Egypt, The Washington Chorus, 2015. Mozart: Requiem, Britten's edition, Cantate Chamber Singers, 2013. N. Boulanger: Solo Selections including Cantique and Le Ciel en Nuit, Cantate Chamber Singers, 2012. L. Boulanger: Solo Selections from Clairieres Dans le Ciel, Washington Master Chorale, 2012. Monteverdi: Salve Regina, Cantate Chamber Singers, 2011. Video Game Symphony, Live! at Wolf Trap, with the National Symphony Orchestra and Chorus, 2011. Handel: Messiah, St. Catherine of Siena Choir, 2010. Haydn: Missa Brevis in G, St. Catherine of Siena Choir, 2010. Mozart: Vesperae Solennes de Confessore, K.399, St. Catherine of Siena Choir, 2010. Maurice Saylor: Two Slumber Songs, 2010. Saint-Saens: Christmas Oratorio, St. Catherine of Siena Choir, 2009. Carol Barnett: Bluegrass Mass, Master Chorale of Washington, 2008. Buxtehude: Nun freut euch, BuxWV80, Cantate Chamber Singers, 2007. Britten: A Wedding Anthem, Cantate Chamber Singers, 2006. Rutter: Requiem, Prince George's Choral Society, 2005. Britten: Hymn to Saint Cecilia, Cantate Chamber Singers, 2004. S. Jackson arr: Noel Nouvelet, Cathedral Choral Society, 2004. Fissinger: Lux Aeterna, Cathedral Choral Society, 2004.
von Bingen: O Virga Ac Diadema, Master Chorale Chamber Singers, 2004. Fissinger: Welcome Yule, Cathedral Choral Society, 2003. Gabrieli: In Eccelsiis, University of Maryland Chorus, 2000. Berlinski: Trumpets of Freedom, University of Maryland Chorus, 1995.